Hiram Bingham III, later just Hiram Bingham, was a Hawaiian-born American who was an explorer, academic and historian of South American studies. Later in life he became a politician and served as a Governor to Connecticut and a United States Senator. He is credited as being the (re)discoverer of Machu Picchu, although there is evidence that the site was known about before Bingham’s discovery in 1911. Bingham first became interested in Inca ruins on a trip to Chile where we was a delegate to the First Pan American Scientific Congress. On his return via Peru he was encouraged by a local prefect to visit the pre-Columbian ruins of Choquequirao. This visit, which occurred in 1908, amazed Bingham so much that he spends a good portion discussing it in his interesting book which records his journey from Buenos Aires to Lima, called Across South America (1911). 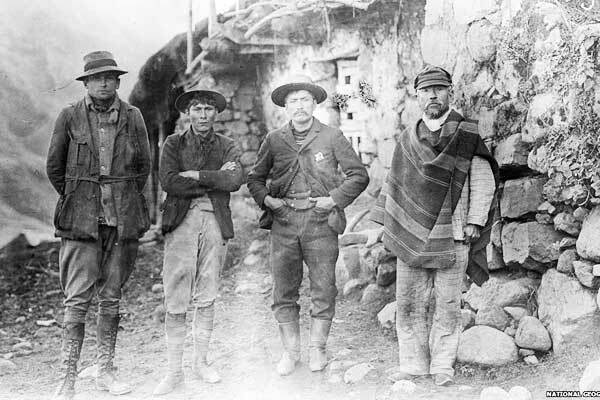 On his return to his lectureship position at Yale, Bingham convinced the university to setup a joint expedition with Peruvian authorities to explore Inca sites in the Cusco region. The expedition begun in 1911, with Bingham as the lead explorer. The prospect of searching for the Lost City of the Incas was particularly exciting for Hiram. After arriving in Cusco city Bingham met with Albert Giesecke, the rector of the Universidad Nacional de San Antonio Abad. Giesecke mentioned that he had met a local farmer called Melchor Arteaga who spoke of extensive ruins on a high up ridge near his home in the Urubamba Valley. On July 19th 1911 Bingham’s expedition headed out of Cusco into the Sacred Valley, via the towns of Urubamba and Ollantaytambo, in search for the Inca ruins of Vitcos. According to chronicles the Lost City of the Incas was near Vilcabamba, a 2-day hike from Vitcos. On the 23rd they reached the farm of Melchor Arteaga, and on the following day the farmer led Bingham to Machu Picchu. Despite being impressed by the site, Bingham was not convinced that it was the the last hidden refuge of the Incas as it did not match the description of Vitcos nor Vilcabamba. 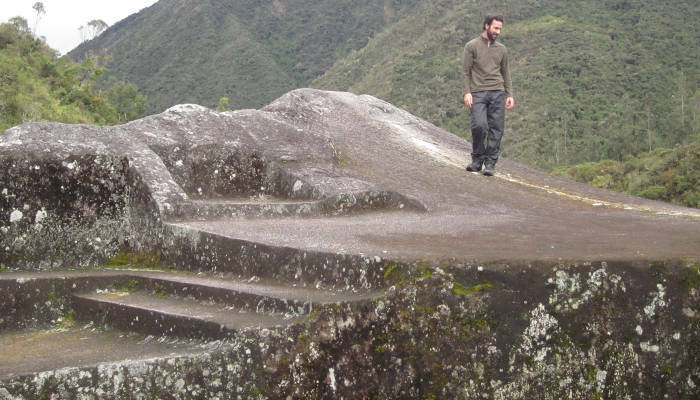 The team decided to leave the site and continued North-east into the Vilcabamba River Valley where they came by a large unfinished carved rock at Rosapata. They immediately recognised this site as the Inca shrine Nusta Ispana or Chuquipalpa. A little further on, perched atop a hill, they discovered Vitcos. (Note: today both Nusta Ispana, or White Rock, and Vitcos are visited by trekkers on the Vilcabamba trail to Machu Picchu). Feeling they were hot on the trails Vilcabamba the expedition continued North-east up and over the Colpacasa Pass to the village of Pampaconas. Here they met a local farmer who led them to ruins at a place called Espiritu Pampa. After exploring the site for a few days, Bingham concluded that it was not the final resting place of the Incas as the architecture was too crude. 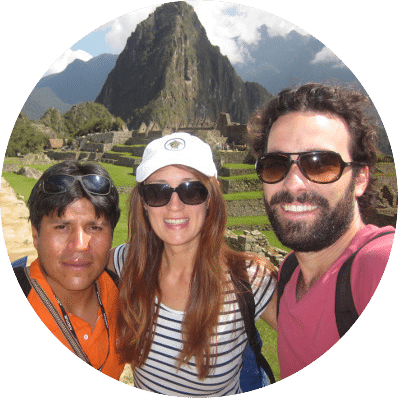 Instead he concluded that Machu Picchu must be the Lost City and returned, with the support of Yale University and the National Geographic Society, in 1912, 1914 and 1915 to excavate and explore the site. During this period an estimated 40,000 artefacts – mummies, bones and ceramics – were removed from the site. In 2007, after much debate, many artefacts were returned by Yale to the Peruvian Government. After Bingham declared Machu Picchu the Lost City of the Incas, the news spread quickly, cementing and popularising the city’s reputation as a place of important ancient history and mystery. Bingham’s own reputation as the discoverer of Machu Picchu also grew. 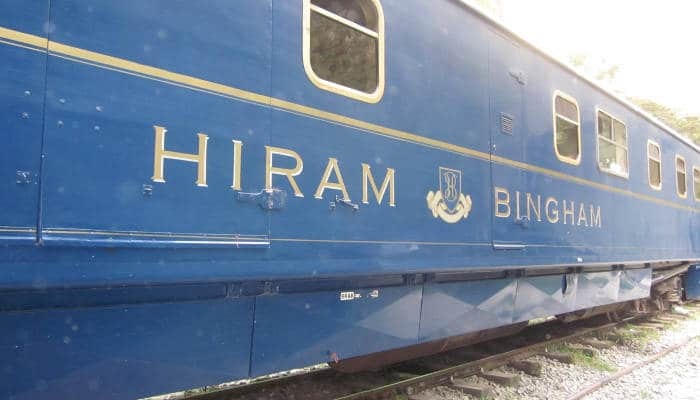 The switchback road that carries tourists by bus to the ancient city is today named Hiram Bingham Highway, as is a luxury train that takes wealthy visitors from Cusco city to Aguas Calientes (Machu Picchu town). Even the fictional character Indiana Jones is purported to be based on Hiram Bingham, and his book Lost City of the Incas, which was published in 1948, was a best-seller (and is still a great read today). But the question of who really discovered Machu Picchu is still up for contention. It is definitely likely that locals knew of the site well before Bingham arrived in Peru. Western accounts of the city date back to 1860s. Augusto Berns, a german who bought land opposite Machu Picchu mountain in the early 1860s, tried to raise money from investors to plunder nearby Inca ruins. A map he used dating back to 1874 shows the site of Machu Picchu, and was in Bingham’s possession when he discovered the ruins. In 1875, French traveler Charles Wiener, published an account of ruins he had heard about at a place called ‘Huainapicchu’ and ‘Matchopicchu’. Wiener never visited these ruins though. After Bingham broke the news of his discovery, a British missionary named Thomas Payne and a German engineer named J. M. von Hasse, claimed to have climbed to Machu Picchu in 1906. In 1964, archeologists Gene Savoy visited the site of Espiritu Pampa. He and his team spent several weeks clearing and excavating an ares stretching over 500 acres, where they found numerous Inca ruins. The scale of the ruins shocked Savoy and his team and they quickly realised the import of their discovery. Due to it’s scale and design they declared that Espiritu Pampa must be Vilcabamba. 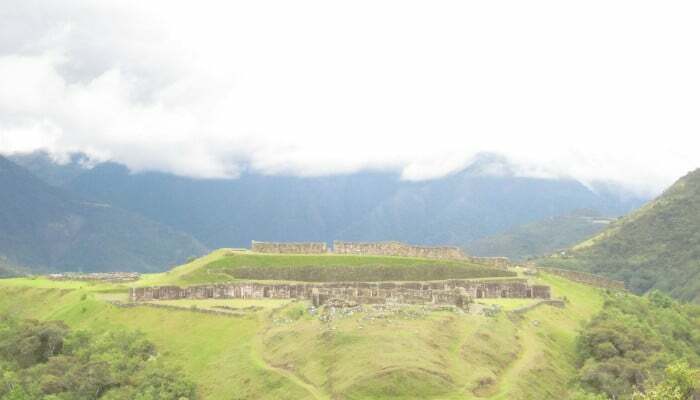 This theory was later corroborated by Vincent and Nancy Lee, who in 1983 discovered Huayna Pucara (New Fort) and Machu Pucara (Old Fort), two sites that are chronicled as being near Espiritu Pampa, or Vilcabamba. 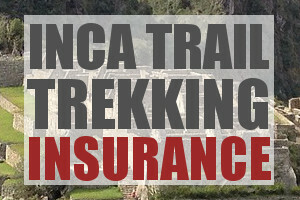 Inca Trail Toilets – What to Expect When You Are Bursting!